It has been a good first week and we are glad to be back!! We have been busy working hard, looking mainly at our Literacy. Focusing on our handwriting, comprehension and descriptive writing. We have also been working on our R.E and developing our understanding on the Five Pillars of Islam. Some of us produced power point presentations and some of us made posters to demonstrate our increased understanding. every Monday afternoon we will be doing forest schools and learning more about the environment. We had an amazing time during our first session of Forest schools. We participated in numerous group activities including Bark rubbing and Bug hunting. We have been working hard during Literacy this week. Continuing our work on the book The Minpins. We have been in the hall using learning tool called the 'conscious alley'. This allows for us all to input our own ideas from two different sides. We also started our Music lesson on Wednesday!! We used sequel on the computers to create different sounds! We have discovered we can also access this site from home which will provide us with a good opportunity to practice and learn from home. Everyone had an a great time!! Lacey said "It was amazing!" Jayden mentioned "It was so much fun but also educational". Grace stated "It was interesting to see how you could create music so easily on a computer!" Back to the forest we went on Monday afternoon continuing our amazing activities including making bookmarks using leaves of different shapes, colours and sizes. Although our best activity was making Mud faces!! We dug up our mud and mixed with water. Once we had our mud we threw a ball against the tree and started creating our faces using leaves, sticks, plants or anything we could find!! On Wednesday we were off to @Bristol for the day! We had a fun filled day with lots of different sessions put on for us and also enjoyed some free time with a variety of different games and experiments. We spent a lot of our day looking at climate change and how our environment has been affected and the things we can do to help improve the Earth. This included looking at Solar power, the carbon footprint (Oxygen and Carbon dioxide) and finished off with a 3D show in the planetarium!! Santino stated "I loved the 3D show in the planetarium because it made me feel like I was moving around space". Aleesha said "Personally I enjoyed learning about Solar power and how Solar panels work. Milosc said "My favourite part was when we were allowed to create our own weather forecast and record ourselves doing it!" This week our Forest schools continued and we had an excellent day! We started by whittling small branches of Elder tree using potato peelers. We followed that by sawing the branch down and removing the pith out of the middle. Once we had done this a few times made ourselves a necklace or bracelets. What a great way to finish the week!! A whole school trip at the Tropicana. This included a variety of activities throughout the day. We started off by making sand sculptures. Following this we were doing some Arts and Crafts. This involved making some coral using card and blue material. To finish of the day we enjoyed some team sports on the beach. On Thursday it was 'No pen day'!! We had a fun day planned, starting with making our own Tetris games! Christina said "I really enjoyed making my own game and being able to colour each of the different blocks! Luca said "I really enjoyed making the tetris game because at first it was really tricky to figure out whether it was possible, once I kept trying I realised it was possible." This week we became investigators. We were investigation the size and shape of shadows. Pre investigation we had to make an estimate on whether we thought the size of the shadow would increase or decrease depending on the distance away from the Sun/light source. Codie Palmer thought "The further away from the Sun the object was, the bigger the shadow was". He then discovered "In fact I found the further away the object was the smaller it became." Maddie hypothesis was "The further away from the light the bigger the shadow". We finished with a few different activities. We started off with leaf hunting. We had to try and find varying leaves including small, large, spikey, different colours and tick them off as we found them. Once we had completed this we were allowed some time to play hide and seek in our large groups. We needed to hide as a group within our boundaries. To finish off we were provided with some hot chocolate and biscuits to finish off. We would like to give a big thanks to Mrs Parker for our amazing term of visiting the woods and learning about our surroundings!! Year 6 are back and ready to keep learning throughout Term 2!! This week in Science we have been looking at making circuits using different components including Batteries, wires, light bulbs, motors and buzzers. On Tuesday 6th December we will be performing Christmas singing at the Colston Hall. You can purchase tickets online at the Colston Hall. This week it was Anti-Bullying week in our school! As a class we produced some great individual poems. Our standout poem was written by Jayden Long who received a book award for his efforts. and I tell him we are all equal. and I tell him, we are all equal. he ripped up my sports team's fabulous flag. In Year 6 we are going to be doing a Toy Tombola. So if anyone is having a clear out or anyone has any unwanted toys/teddies then we would be grateful for them. This week in Science we had the opportunity to continue our work on circuits. We had the opportunity to make our own 'steady hand game' using all our components and the use of a metal wire. DON'T FORGET YEAR 6 ARE AT THE COLSTON HALL TUESDAY 6TH DECEMBER!!!!! 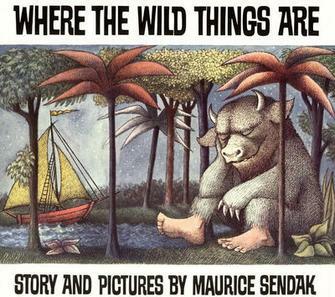 This term in our Literacy lessons we are going to be looking at picture books. This term in our Maths lessons we will be looking at Fractions! Below is a link for a site to give us a little introduction into the different types of fractions. We are also going to be looking at Chinese New Year. 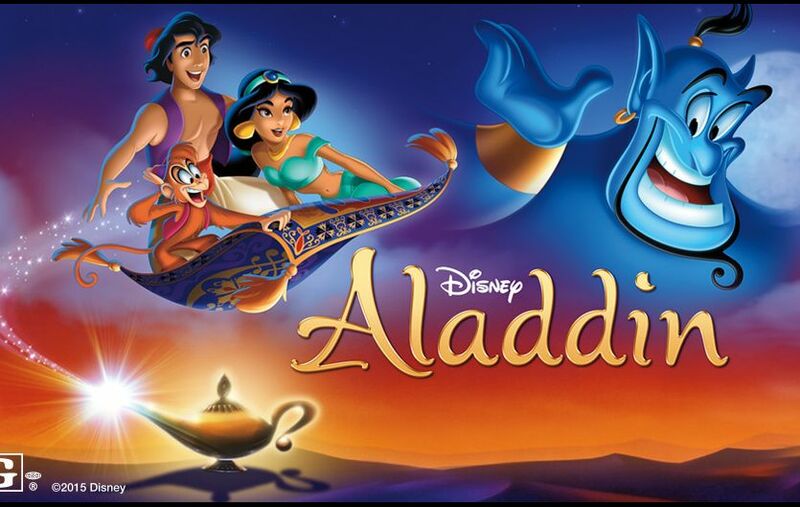 We had an amazing time watching M&M productions and their interpretation of Aladdin. We had a few different opinions on who was their favourite character! Lacey said "My favourite character was the Genie. He was so funny! Charlie stated "My favourite was the monkey! He was really sneaky! On Thursday we invite all of our parents to come in at 3:15 to look at some of the wonderful work we have been doing in class and around the school. Our day will be spent looking at Chinese New year and we will be making and providing some fortune cookies so come and have a try! What an amazing way to start the week. Year 6 made our way to Bristol for a morning at the Life Skills centre. We split into groups and made our way around the centre looking at different scenarios about how to keep safe and important things we need to know as we are growing up. We want to thank everyone who helped show us around we had a brilliant morning. Our day has consisted of lots of different activities! We started by making a large dragon. This was done by each of us designing onto our own paper plate and all the plates were connected to make the body. Some of us then helped to create the head. Next we were allowed to design and create our own wrapped for some fortune cookies. Some of us had the opportunity to bake some cookies. 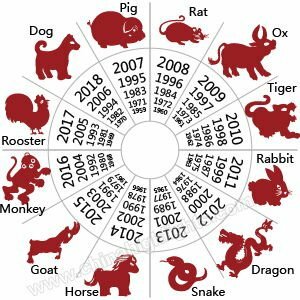 Overall we had an amazing day celebrating Chinese new year and we are going to be using our knowledge in Literacy to edit and adapt the story of Chinese new year. Our work produced in Year 6 on Chinese new year! This week in our class we got to make our own Bird feeders! We used different ingredients including Lard, fruit, and bird seed. Once mixed we each got to mould our mixture in balls and leave to dry so that we will be able to hang them out for birds. Throughout this term we have been building our knowledge with the aim of completing our Challenge on the last day of term. We have been using enquiry learning to investigate in Science. We have been researching and developing our knowledge of habitats and adaptation and food chains. Over the past few weeks we have been using our have-a-go method to attempt various pieces of work. We then used immersion to give us a better understanding of all the different subjects. This was a process for us to achieve our finalchallenge which involved us splitting into groups and produce a presentation where we created our own habitat for our new animals that we had created. This was an interesting way for us to develop our knowledge. Some of the animals created were : Kangawolf, Griffin, Puffangelfish and many more! Welcome back we are feeling refreshed to begin another important term! This term we are going to be immersing ourselves in all things Italy. As a class we decided that we would have a focus on Italy this term. We are interested to know more about this fascinating country but we are going to ensure that we use it in a positive way to improve all our fundamental skills. We will be linking all our learning back to Italy, including looking at William Shakespeare in our Literacy. In art we will also attempt to male some Fresco paintings. Stay tuned to see how it turns out! Throughout this week we have been studying volcanoes. We have been learning about many different volcanoes around the world and studying the effects they can cause. As a task some of us took our learning home and were allowed to attempt to create our own. There have been some excellentvolcanoes made. We would like to thank all the Year 6 children who volunteered to stay behind on Thursday afternoon to help at the Science fair. Everyone seemed to enjoy themselves and thoroughly enjoyed the different experiments on show. Archie stated "I really enjoyed the looks on the other children's faces when the volcanoes exploded"
Olivia explained "I enjoyed helping the younger children make their way around the different experiments." As we have been looking into Italy throughout the last two terms, as a class we have come up of a exciting way to attempt to raise money for us to go on a school trip. We are going to be designing our own Pizzas!! We will be creating our own recipes within class and then we will be selling them around the school to anyone who is interested. Additionally we will also be inviting parents to come afterschool on Wednesday to try our pizzas and make a generous donation. Year 6 have been working extremely hard recently to try and improve their skills with SATS coming up soon. Below are a few websites that can help if you want to practise when you are at home. All the hard work will be worth it in the end! Year 6 would like to thank everyone who visited our Pop-up pizza parlour! 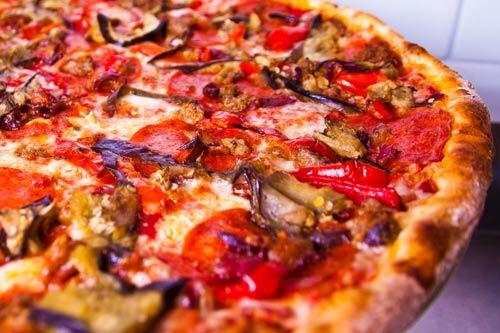 We had some delicious pizzas for sale including the irreplaceable, the fried breakfast, the mouth-watering extreme, the surprise and the calzone. These were all styles created by ourselves and we hope you enjoyed. Firstly we thank all the children throughout the school who purchased pizza at break time and a special thanks to all the parents who came and visited our parlour and made some really generous donations. We are well on our way to raise money for our school trip to Cadbury world!!!! Welcome back to everyone from our Easter holidays! Hope everyone enjoyed themselves but are back ready to prepare for our all important SATS!! What a way to start our first day back! We were lucky enough to have a visitor from Willmot Dixon who are a construction company. Initially we were split into small groups and given some wooden poles and rubber bands and we were tasked to make our very own tetrahedrons. We were tasked to make 4 in each group. Once completed we joined to make larger groups and as a result bigger tetrahedrons. We then joined to make even larger groups and in turn larger tetrahedrons. This was an amazingly fun activity but also very educational. We had to ensure we incorporated excellent teamwork and strategies. Also we obviously looked at shape and problem solving which will help us with our Maths skills. We evaluated our work and were quizzed on number of vertices, sides and faces. We used verbal communication to start with but as it got harder we were only allowed to communicate using non verbal communication. We asked some of the children to talk about what they had learnt and how they enjoyed the activity. Luca stated "It was really interesting because we started off with a small project and progressed to make the project even bigger whilst also working as part of a team." Olivia said "The most interesting part for me was learning how to construct without using verbal communication, I thought It would be really difficult but we managed it In the end." We are continuing our fundraising scheme to attempt to raise enough money for our class trip to Cadbury world. We would once again like to thank everyone for their continued support. This week we began our MILSHAKE MADNESS!!!!! We made our own milkshakes in school and sold them at lunch and break time. We also made our own Fruit and Vegetable hamper and sold raffle tickets! To end the week we had a long session in the drama studio learning how to play Steel drums. They were different sizes of drums which created varying tones of sounds. We split into pairs and had a drum between each pair. We alternated, so one person would be playing the drum and one person would be assisting pointing to the correct notes to ensure everyone was in tune. We put all of our tunes together to make a piece of music. A personal favourite was Twinkle Twinkle! A week to go until the beginning of our all important SATS! We are still working hard to revise on all the key areas within our SATS. We have been quite independent at the start of this week creating our own revision posters. We split into groups and made huge posters explaining all the different areas within Maths and English. This allowed us to go over certain things which any of us were not 100% on and also reaffirm everything else. We were able to view other groups and ideas to see anything they had put on their poster allowing us to cover a wide range of subjects. These posters will stay on our wall until SATS so we can refer back to them whenever we need! We have been working extremely hard over this past year to prepare ourselves for our SATS. Now we can finally say they have been finished! Everyone done amazing and put in an extraordinary amount of hard work. Thank you to everyone who supported especially the TA's who kindly gave their time to support individual children. What an amazing day we had at Hans Price today! We were kindly invited down to take part in Weston Rocks concert and it was brilliant! We learnt many new songs and actions and were joined by other schools around the Weston area. Welcome back to the final term of Year 6! For the past few months we have been working hard to raise money for a trip to Cadbury World! We can now finally say we have achieved our goal!!!!!!!! Thursday the 8th June we will be off so everyone needs to make sure they have signed and returned their permission slips. We took part in lots of different activities and it was well worth the wait and the amazing effort we put in to fundraise. Our highlight was the 4D cinema! Here are a few snaps of our time within the factory. What an amazing two days in London! We are all exhausted from all the things we got through. We managed to squeeze so much into these two days and we all had an amazing time. Thank you to all that helped make this amazing trip possible. We managed to all go on the London Eye, London river cruise, Shrek 4d Adventure and LEGOLAND. Here are some snaps of our time.